On the other hand, CompositeNode does all its drawing in DiagramView control’s canvas and is not affected by the issues listed above. CompositeNode lets you build node’s UI by composing hierarchy of components derived from ComponentBase class. Pre-defined components include layout panels, read-only or editable text fields, images, borders, buttons, check-boxes and sliders. If the UI component you need isn’t provided out of the box, you could still implement it as a custom class that derives from ComponentBase or more specific type and overriding the GetDesiredSize, ArrangeComponents and Draw methods. Lets see how that works using a RadioButtonComponent as an example. const string Template = @"
To be fair, this kind of nodes is simple enough to implement using standard TableNode class where radio button graphics are either custom drawn or set as Image inside table cells in first column, and text displayed in second column. However the radio buttons can be mixed with other components in CompositeNodes to implement more complex user interfaces than ones possible with tables. For more information on MindFusion flow diagramming libraries for various desktop, web and mobile platforms, see MindFusion.Diagramming Pack page. The ShapeLibrary class lets you use custom geometric shapes created using MindFusion ShapeDesigner tool. Call its loadFromXml method to load a library XML file. getShapes returns an array of the loaded Shape objects. The ShapeLibraryLocation property of NodeListView creates a prototype ShapeNode object for each shape from the specified library. TextStroke and TextStrokeThickness properties of DiagramItem let you set color and thickness of text outlines. 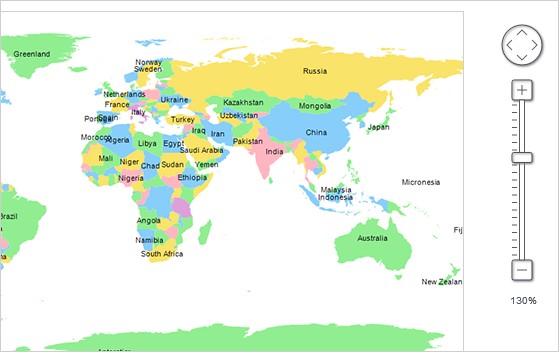 The Orientation property of NodeListView lets you set the view’s orientation to Horizontal or Vertical . Fixed overlaps in TreeLayout when arranging nodes of different sizes. Anchor points indices were not serialized and could be reset to different values when loading from JSON. Deserialization of custom item classes worked correctly only if their names contained Node or Link suffix. Registered customers with an active upgrade subscription can download the licensed version from the clients area on our site. We are glad to receive any comments, suggestions and feedback. You can write us at e-mail support@mindfusion.eu or use the help desk. You can use the JsDiagram section on MindFusion forum to post questions about the tool. Columns and rows of a Table node can now be resized interactively if its AllowResizeColumns or AllowResizeRows properties are enabled. In order to resize, move the mouse pointer to the border line on column’s right side or row’s bottom side until it shows resize cursor and start dragging. 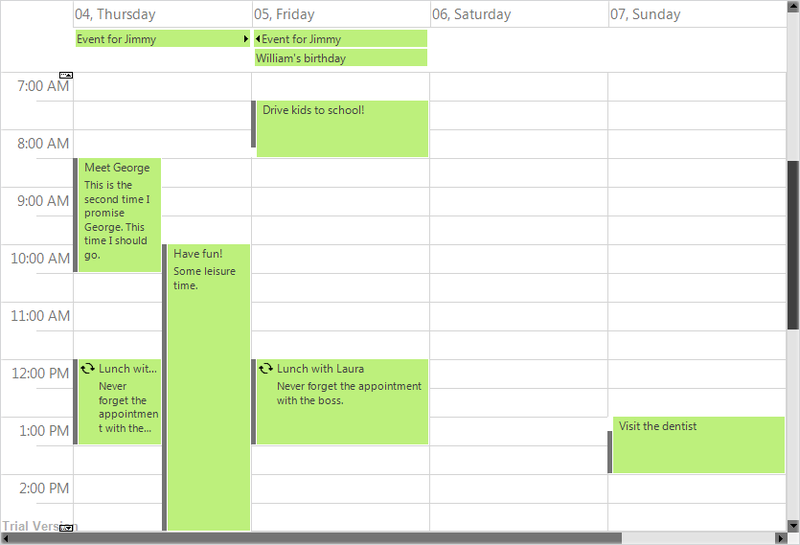 The control raises TableColumnResized and TableRowResized events when the operation completes. There is no separate trial build of the control’s libraries anymore. Instead, set the LicenseKey property to disable the component’s evaluation mode and stop displaying trial messages. License key strings are now listed on the Keys & Downloads page at MindFusion’s customer portal. 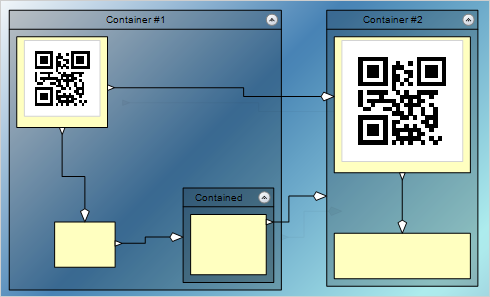 Keys for MindFusion.Diagramming Pack will now work for ActiveX control too. Table nodes can be roots of collapsible tree branches too. The Table class now provides Expandable and Expanded properties, and Expand and Collapse method. The control raises TableCollapsed and TableExpanded events when a table-rooted branch is collapsed or expanded. The control also includes detailed documentation and many samples for a variety of languages and platforms. You can find more about the features of the tool at the features page or check the licensing scheme and the prices here. 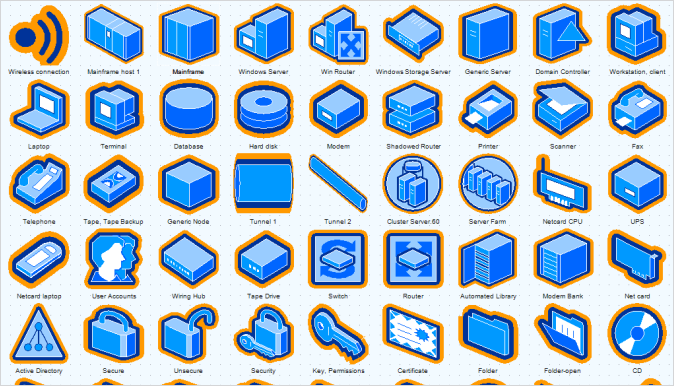 Note: The standard shape stencils installed with Visio are copyrighted by Microsoft, and you should not use them in your diagram application. This feature is intended to let you use public domain diagram node stencils, or commercial clipart you have purchased a license for. 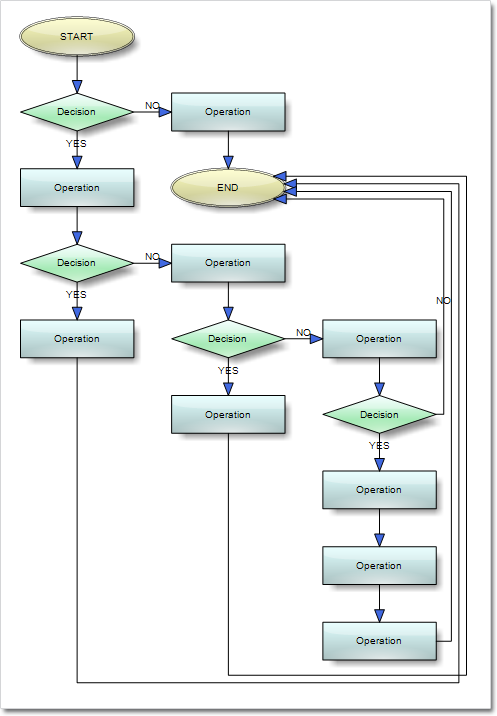 We no longer prepare a separate trial built of the assemblies of the flowchart control. Instead, set the Diagram.LicenseKey property to disable the component’s evaluation mode and stop displaying trial messages. If your WPF application contains more than one Diagram instance or other controls by MindFusion, you could call MindFusion.Licensing.LicenseManager.AddLicense(key) from application start-up code to specify the key once instead of setting it per each control. License key strings are now listed on the Keys & Downloads page at MindFusion’s customer portal. The AnchorPattern property of the Shape class lets you associate anchor points with shape definitions. If a ShapeNode instance does not contain its own AnchorPattern, it will derive the one defined by the node’s Shape. TableNode.RowAnchorPattern property lets you specify default AnchorPattern for all table rows. The download contains all runtime libraries of the control, various samples for different .NET versions, extensive desktop documentation and step-by-step tutorials. If you face difficulties installing or using Diagramming for Wpf, please contact MindFusion support team per e-mail or phone. You can also use the forum or help desk. Most support inquiries are answered within hours of receiving them. data input and output. You can read the full features list here. The online demo shows samples that demonstrate various capabilities of the control. The licensing scheme and prices are uploaded at the buy page. Source code is also available. Links can now snap to nodes from a distance when their AutoSnapToNode property is enabled. The maximum snap distance is specified via Diagram.AutoSnapDistance property. AutoSnapToNode supersedes the old SnapToNodeBorder property, which worked only for nodes under pointer location. Type of Margin property of LinkLabel has been changed from float to Thickness. The changeUnit method sets a new MeasureUnit and scales the coordinates of diagram items to keep them the same size. Fixed text layout in rotated nodes. Improved layout of text components in CompositeNode. If you require technical support, please use the forum or write us at support@mindfusion.eu. A help desk is also available. Providing fast and competent technical support is among the priorities of MindFusion. We answer most support inquiries within hours of receiving them. 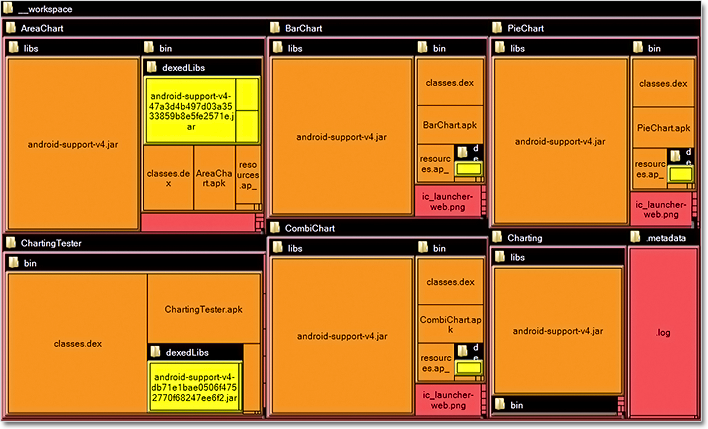 About Diagramming for Android: A native Java class library, which provides your Android application with a powerful set of features for creating, customizing and displaying flowcharts, genealogy trees, class hierarchies, networks, algorithms and much more. The component offers a rich choice of predefined shapes, many pen and brush options as well HTML-like formatting of text. Diagram nodes can hold text as well images, can be semi-transparent and support glass reflection effects. The component offers various automatic layout algorithms and a rich user interaction model, which supports zoom, scroll, alignment guides and more. 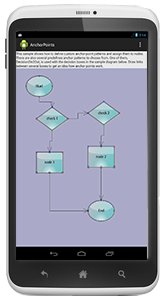 You can read the features list of MindFusion Diagramming library for Android here. 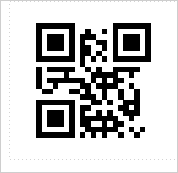 For pricing and licenses check this link. You can use the XUnit and YUnit properties to specify the coordinates of an AnchorPoint as a fixed offset from the node’s top-left corner rather than in percentage, so that the point position does not change when the node is resized. Anchor points for a box shape. ~ The changeUnit method sets a new MeasureUnit and scales the coordinates of diagram items to keep them the same size. 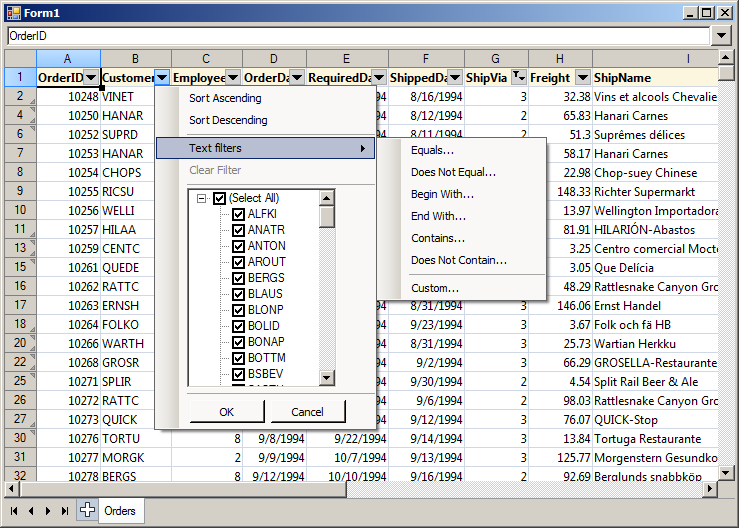 TabbedScrollPane allows reordering tabs when AllowTabReorder property is enabled. Improved quality of print preview page images. DisableTextClipping property added to PdfExporter enables work-around for limit-check errors when Adobe Reader prints to some PostScript printers. The tree layout is used to arrange the newly created boxes dynamically. MindFusion puts special effort in providing high quality technical support to all its clients and evaluators. You can post your questions about Diagramming for Java or any other of our components at the forum, help desk or at support@mindfusion.eu. All support inquiries are usually answered within hours of being received. About Diagramming for Java Swing: MindFusion.Diagramming for Java Swing provides your Java application with all necessary functionality to create and customize a diagram. The library is very easy to integrate and program. 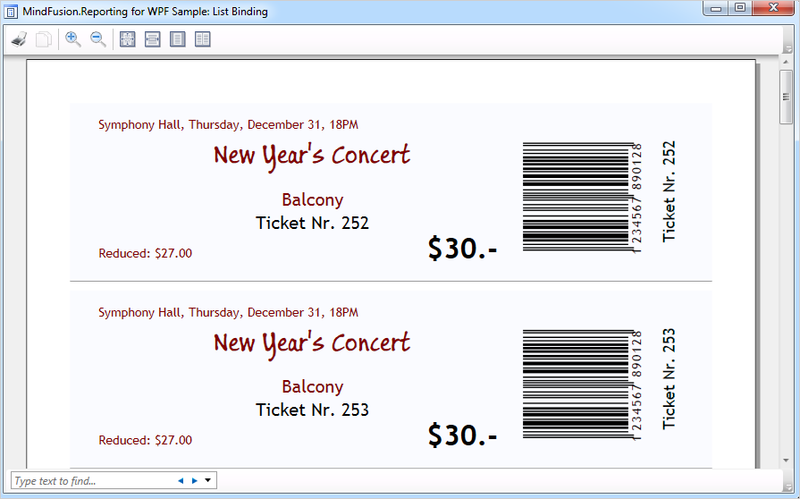 There are numerous utility methods, rich event set, more than 100 predefined shapes. The tool supports a variety of ways to render or export the diagram, advanced node types like TreeView nodes, hierarchical nodes, tables, container nodes and many more. There are 15 automatic layouts, various input / output options and fully customizable appearance. A detailed list with JDiagram’s features is uploaded here. You can check the online demo to see some of the functionality implemented. Diagramming for Java Swing is royalty free, there are no distribution fees. Licenses depend on the count of developers using the tool – check here the prices. Tree maps represent hierarchies by nesting child nodes within their parents, where the areas of leaf nodes are proportional to their Weight values. Unlike other layout algorithms, TreeMapLayout expects hierarchies to be defined via grouping or containment (see AttachTo method and ContainerNode class), and will ignore any links in the diagram. The diagram area covered by the topmost nodes in a hierarchy is specified via the LayoutArea property. By default, the layout tries to keep the ratio of node sides as close as possible to one. 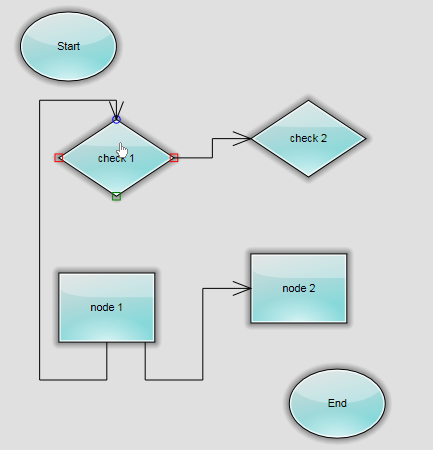 DecisionLayout arranges simple flowcharts consisting of decision boxes with up to three outgoing links per node and activity boxes with a single outgoing link per node. The nodes are arranged in columns and rows, whose distance depends on the HorizontalPadding and VerticalPadding property values. When links share the same row or column, they are placed at a distance specified via LinkPadding. 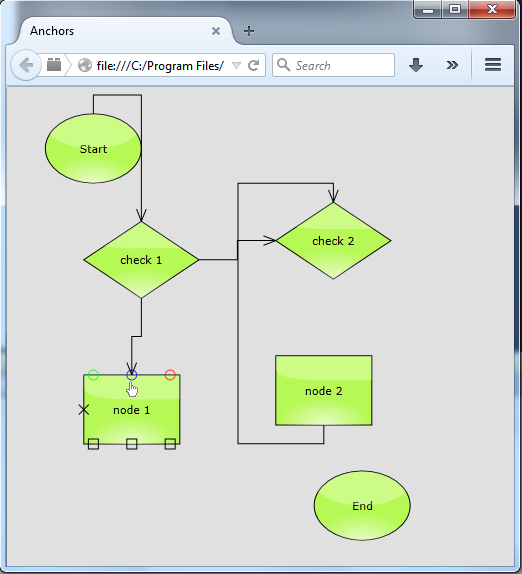 The layout arranges nodes recursively starting from StartNode. 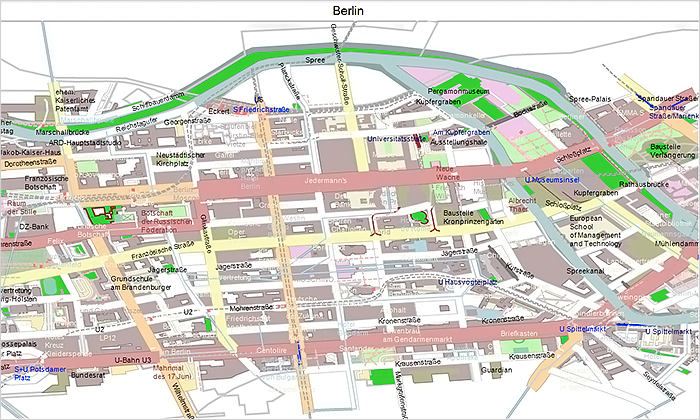 Layout algorithms now automatically resize diagram’s Bounds if it’s not large enough to fit the arranged content. To revert to old behavior and keep fixed Bounds size, set GrowToFit to false. 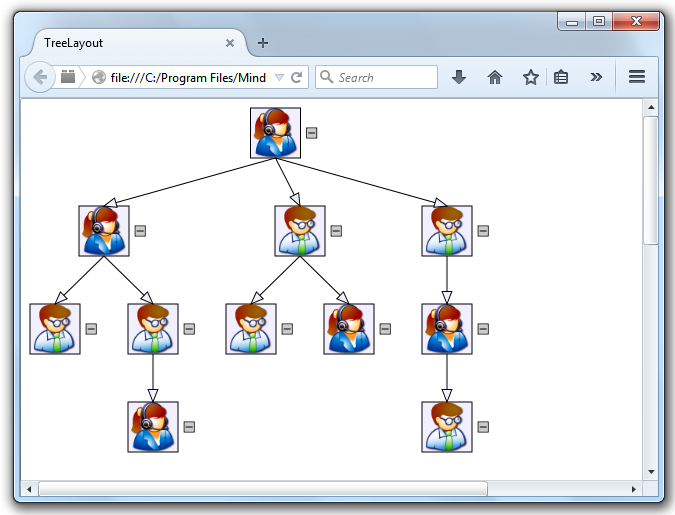 About MindFusion.Diagramming for Wpf: Designed and developed to be easy to integrate, use, and customize, this native WPF component places at your disposal every single feature you would ever need to create flowcharts, diagrams, graphs, schemes, DB relationships, trees and many more. Its long list of style options gives you complete control over the appearance of the diagram. With a set of eight automatic layouts you are sure to choose the best arrangement for your items and make the diagram easy to comprehend.